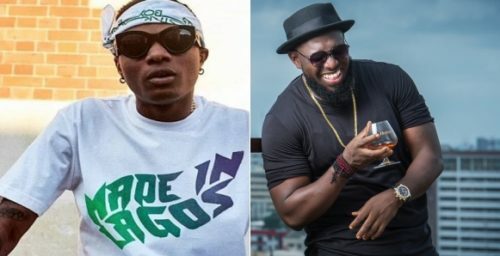 A new bromance maybe brewing between two Nigerian pop star Wizkid and Timaya. 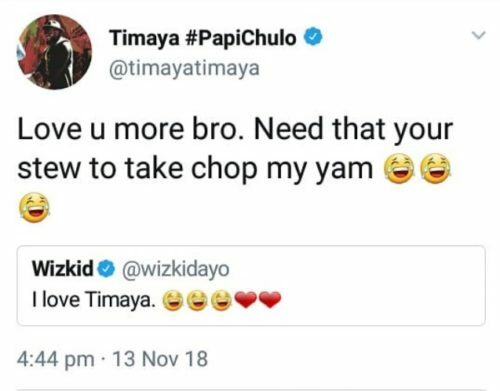 Wizkid took to Twitter to express his love for Timaya. He wrote, ‘I love Timaya’. An expression which caught the attention of the ‘Bam Bam’ crooner ‘Love u more bro’ while also chiding him about ‘stew’.